1994: A needs survey conducted within the Morningside Ward identified social isolation as a major problem for many people in the community. Community members strongly indicated the desire for friendship and social support groups. Access to additional parks and gardens was also identified as a need. The survey was conducted through The Balmoral Uniting Community Centre by the Griffith University. The Gateway Community Group Inc. and The Balmoral Uniting Community Centre, with the support of community members, decided to establish a permaculture city farm in the area. 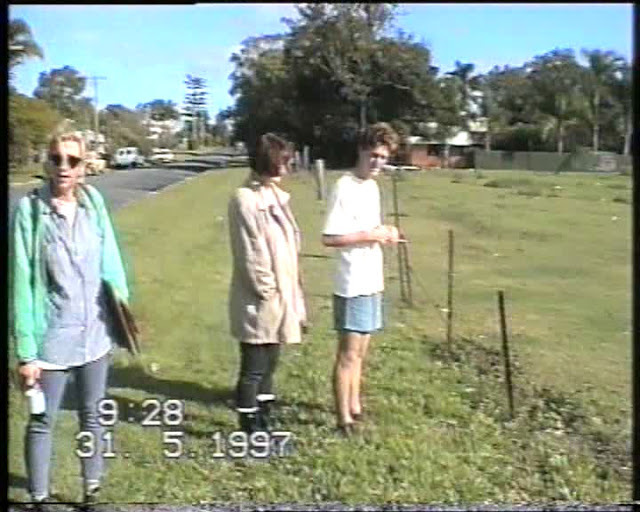 1996: Ann Davis of Gateway Community Centre and Mal Causer of Balmoral Uniting Church Community Centre petitioned nearby residences to see if they would be OK with a proposal for a community farm to be started. Councillor Sharon Humphreys supported the idea. 1997: Senator Neville Bonner, a Jagera elder, gave his blessing for the commencement of the community farm. Beelarong Community Farm was started. Council allowed BCF to use the land because it was flood prone, on a handshake agreement. Leona Olling, then of Balmoral Community Centre, wrote a submission for the wooden tool shed without the surrounding shaded area. Marion Forrest saw information about a farm start up at Morningside in the Northey Street City Farm’s newsletter as she was then volunteering at Northey Street and decided to get involved. 1998: The rotunda was the first building on site, relocated through a work-for-the-dole project supervised by Wayne Wadsworth. It came from one of the Gateway Community Association houses and was re-erected at our farm. 1999: BCF became an incorporated entity, not for profit organisation. Wayne Wadsworth, Ann Davis, Mal Causer and Marion Forrest decided to incorporate the farm to be able to apply for grants. Before incorporation, Gateway Community Centre ran a 4 week organic farming workshop. Wayne got his friend Keith Burnett to be the first President and Marion became the first treasurer with zero dollars in the bank. Marion, Wayne & Keith Burnett wrote submissions and things seemed to well and truly kick off.